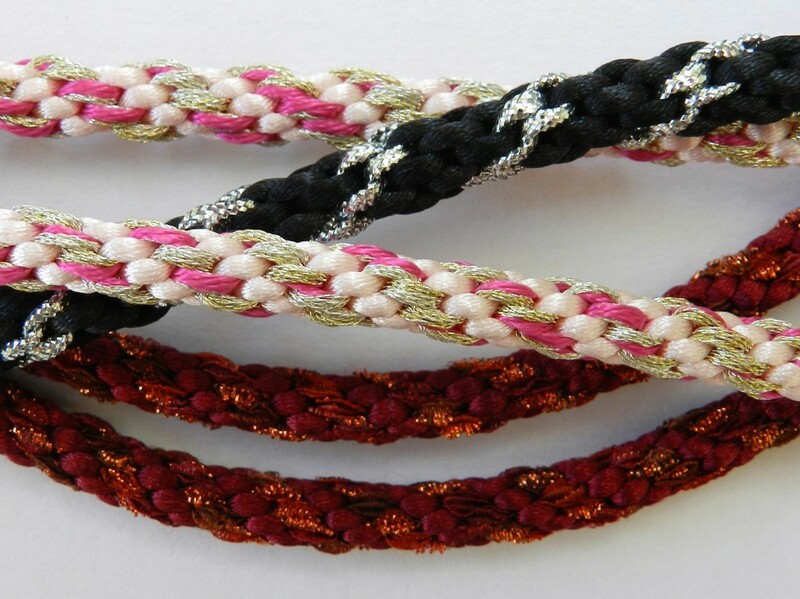 This is the most basic and versatile of all the Japanese kumihimo braids. It is quick to complete and is suitable for virtually any sort of yarn. It is particularly useful for jewellery makers. This is the best braid to use if beads are being added and step-by-step instructions can be found under Braiding with Beads. 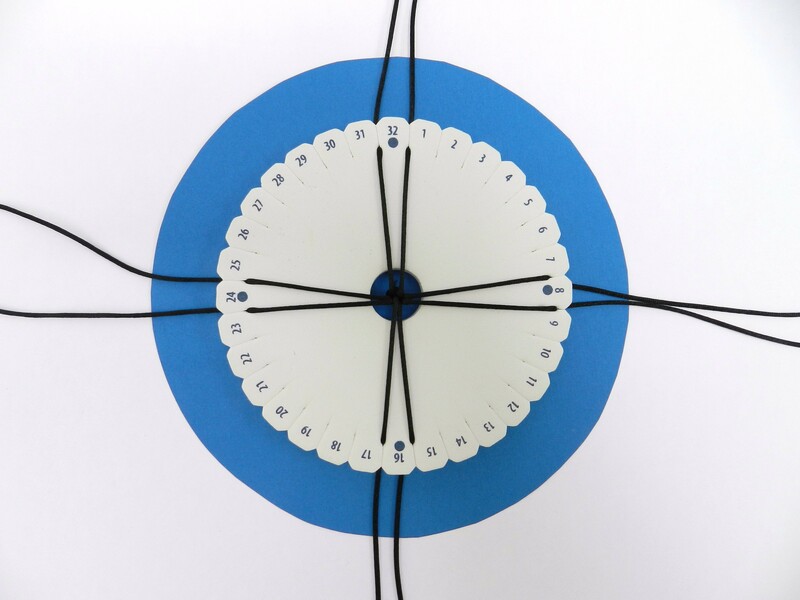 Load the thread into slots 32 and 1, 8 and 9, 16 and 17, 24 and 25 on the kumihimo disk. 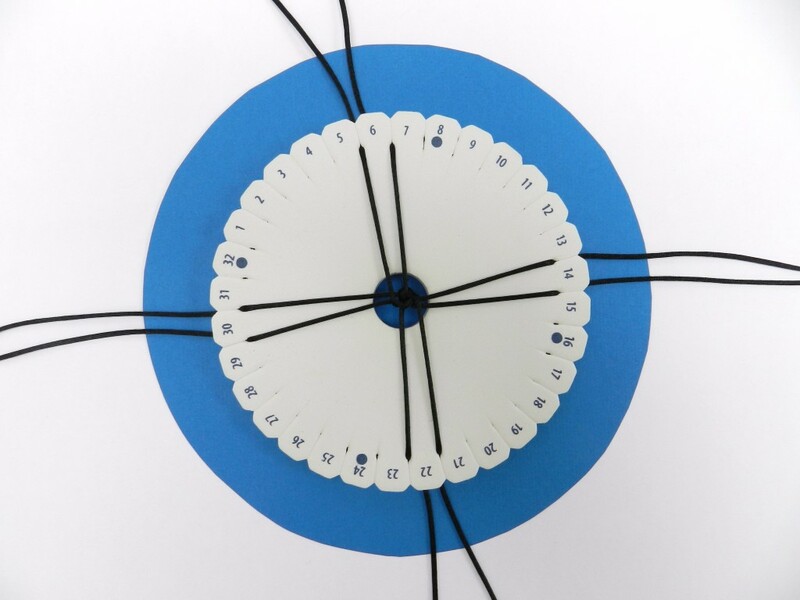 Turn the kumihimo disk a quarter turn to the right so that 24 is in the 12 o’clock position. 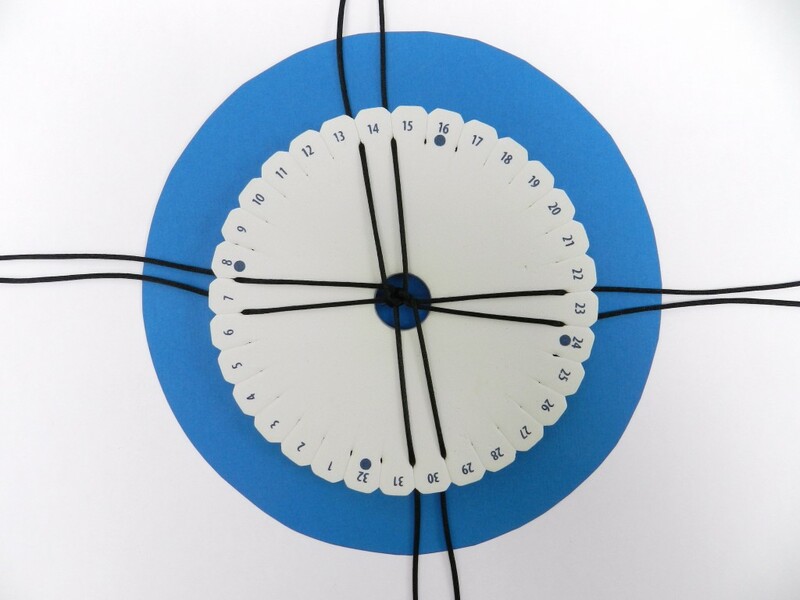 Turn the kumihimo disk a quarter turn to the right so that15 is in the 12 o’clock position. 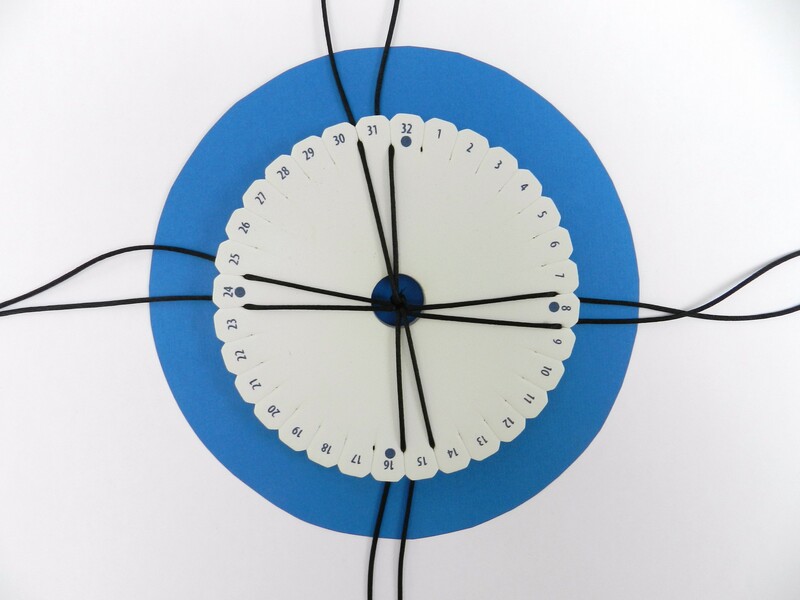 Turn the kumihimo disk a quarter turn to the right so that 7 is in the 12 o’clock position. This is the basic pattern. 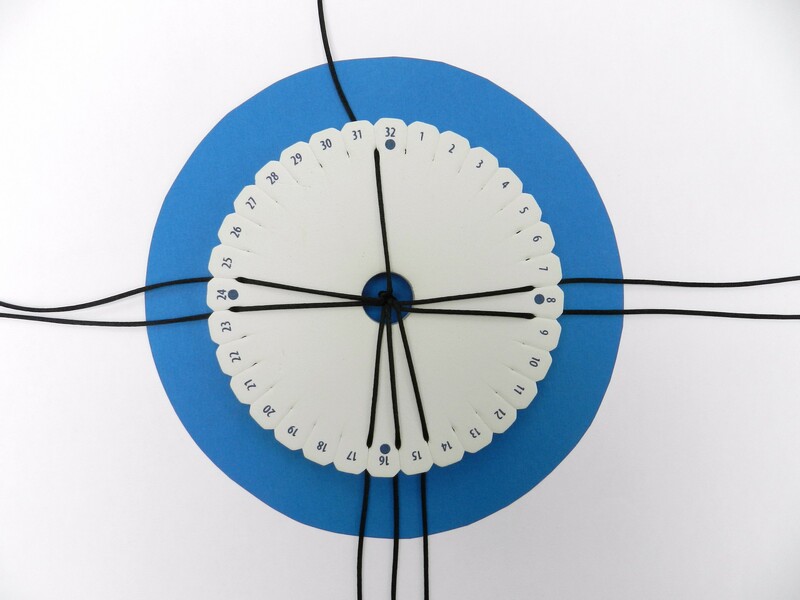 As the kumihimo disk rotates the numbers change, but the moves remain the same. 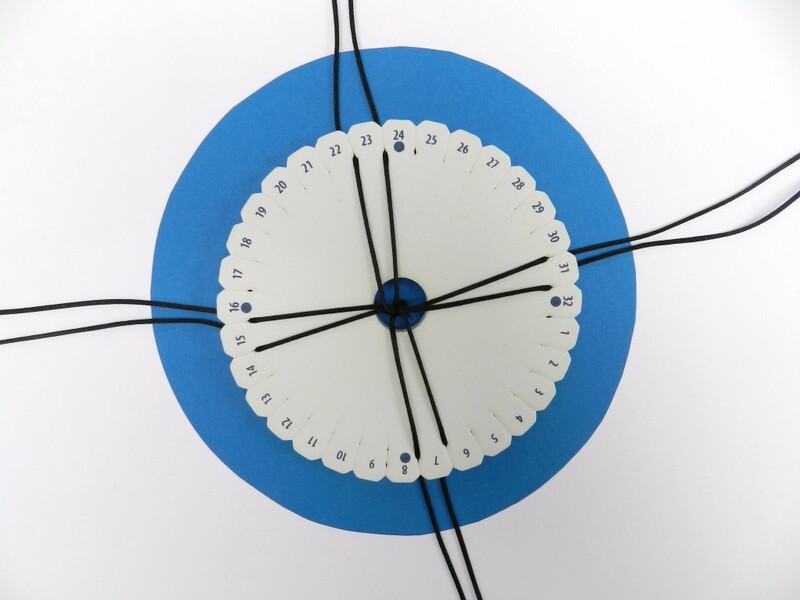 The braid will start to appear from the underside of the disk. Top right to bottom right, bottom left to top left, rotate. If you need to stop braiding for any reason, try to stop when you have 3 warps in the lower section of the kumihimo disk. When you restart you will know that the next move is to move the bottom left warp to the top left position.